Xbox One X Officially the New Benchmark For Devs? 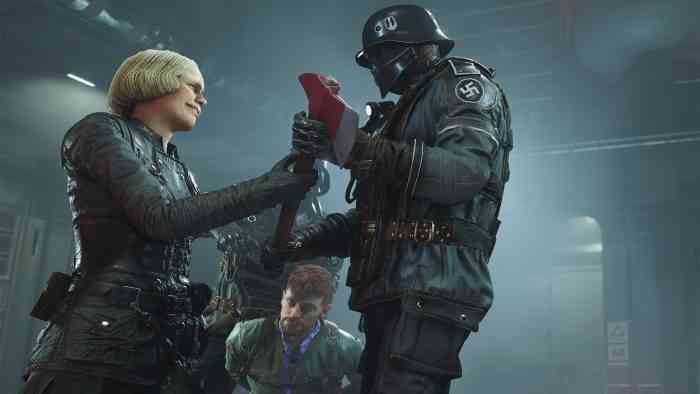 Wolfenstein 2: The New Colossus launched a few weeks ago to some extremely positive review scores, including a positive one from us (check out the video review below). That being said, it hasn’t been a great experience for Xbox One owners. Digital Foundry recently conducted an analysis in which they uncovered that the game ran at 810p 60 FPS on the system. Ouch! There is no question, it is fantastic to see developers taking advantage of the 1.8 TFLOPS advantage the Xbox One X has over the PlayStation 4 Pro. Not to mention, you have to believe his statement how “it’s going to set a new standard for games moving forward” is encouraging. Wolfenstein 2: The New Colossus is the sequel to the critically-acclaimed Wolfenstein: The New Order. The game is currently available on Xbox One, Windows PC, and PlayStation 4. This time around you fight Nazis in iconic American locations, equip an arsenal of insane guns, and unleash new abilities to blast your way through legions of Nazi soldiers. The goal is to trigger the second American Revolution.